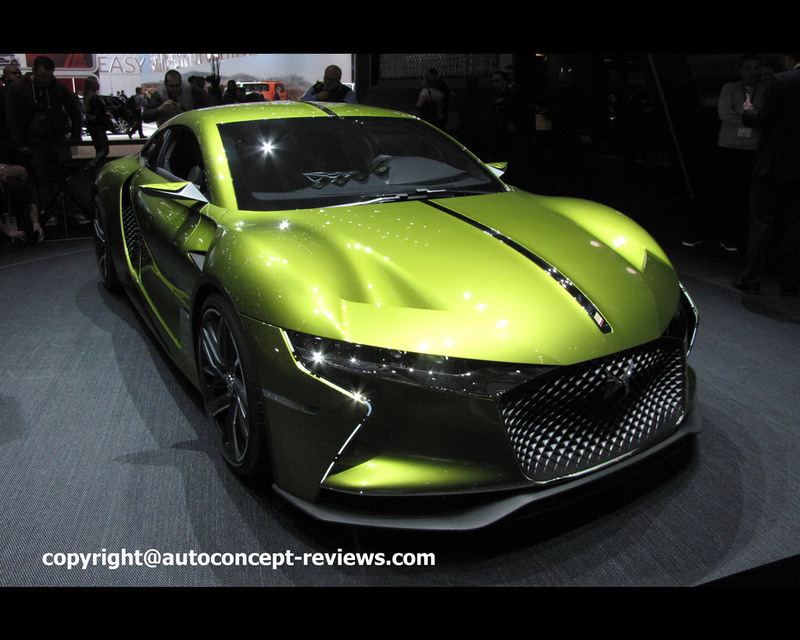 A year after the official launch of the brand, DS Automobiles has unveiled the head-turning DS E-TENSE at the 2016 Geneva Motor Show, an electric-powered Supercar that silently produces 516Nm of torque, 402hp and zero emissions. 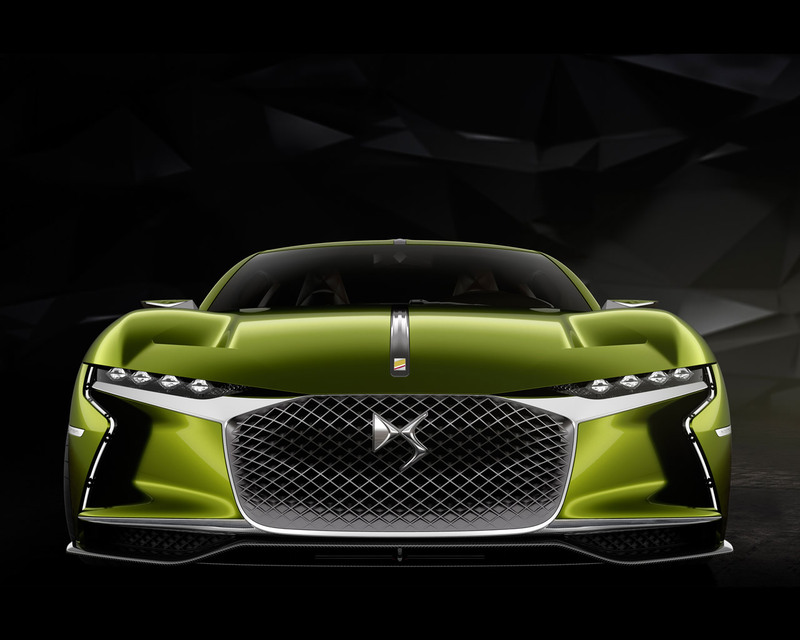 Measuring 4.72m long and 1.29m high, DS’s ambition with the DS E-TENSE is to create a high-performance electric GT car that brings together state-of-the-art technology and avant-garde design. All those who set eyes on the DS E-TENSE will instantly notice its unique styling, flowing lines and sense of perpetual motion. 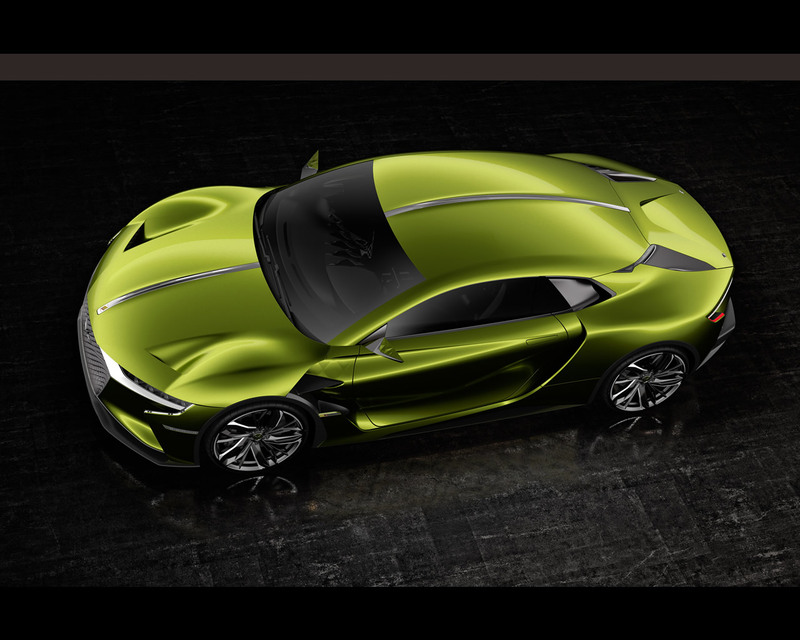 With the silhouette of a grand tourer coupé emphasised by a central chrome-plated spine and an exclusive metallic green ametrine body colour, the DS E-TENSE evokes one simple desire, and that is to be driven. DS applied its avant-garde design styling to this vehicle and similar to the Divine DS, removed the rear windscreen at the back, giving the design team a huge amount of freedom to mould its contours and make use of digital rear-view technology. A unique DS trademark feature, the front and rear lights were the object of scrupulous attention, with the DS LED Vision headlamps that are jewel-like in design. The daytime running lights – picked out as if in beaded stitches, a nod to the world of high fashion – accentuate the car’s expressive gaze. 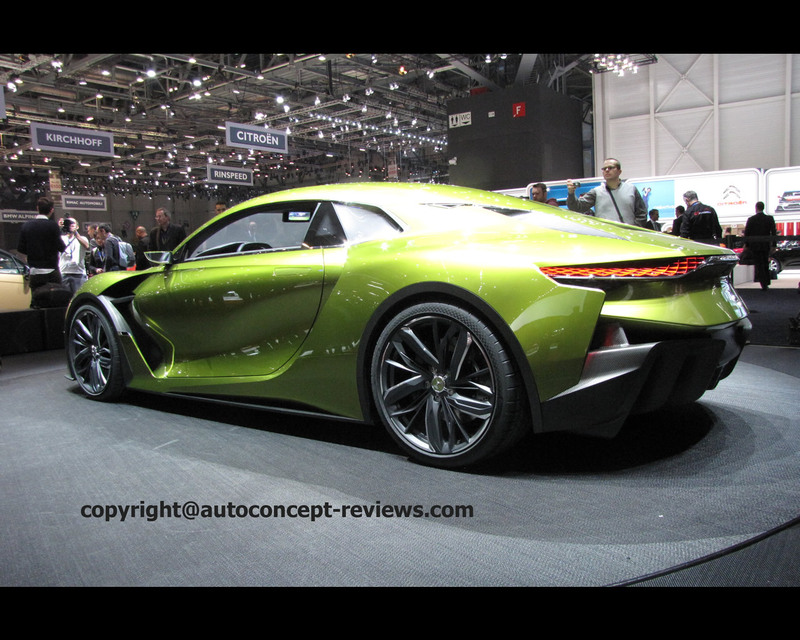 At the rear, the indicators integrated into the roof are inspired by the original DS from 1955. Finally, the light signature’s show-stoppers are the tail lights: equipped with full LED technology and scale-like in design, they seem to spring to life whenever the car is in use, setting the trend for future DS models. 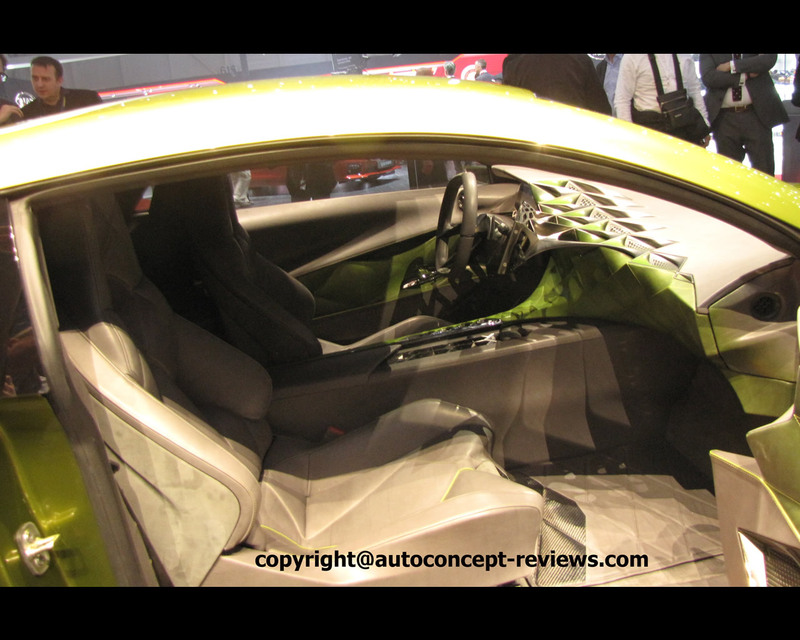 As for the car’s interior, it is an example of the alchemy that occurs when French savoir-faire is combined with superior materials. DS upholsterers took 800 hours to design, test and produce the interior, with particular emphasis on the upgraded watchstrap style design on the seats and dashboard. Other noteworthy features include the cold steel used for the dashboard, creating a futuristic look, and the strongly marked tulip-shape of the steering wheel. To raise this interior to new heights of sophistication, bespoke accessories have been created in collaboration with French luxury brands – products born of skills that embody the DS values in every respect. The artistic director of Moynat came up with this unique object by drawing inspiration from the Y-shaped straps that used to secure the trunk, thus holding the spare tyre to the back of an automobile. The harness consists of two main handles made of natural calfskin with a staining that will become deeper and more lustrous with age. Inside, there is a supple leather pouch. Entirely hand-made by highly skilled craftsman, the harness seamlessly perpetuates the venerable tradition of French fine leather goods. Its function is multipurpose: it can be fastened securely to the driver’s seat in such a way that absolute safety is guaranteed, but it can also be removed and has been designed to carry a helmet in a practical yet elegant way, so doubles as a bag about town. Watchmaking technology is refined to its very essence in this timepiece specifically designed for the driver of the DS E-TENSE. It can be worn on the wrist or affixed to the car’s central console. The case is angled at 90° so that the time is viewable while driving. A silent car doesn’t mean that sound is not a crucial consideration. For an exclusive experience, 9 Focal Utopia high-fidelity loudspeakers transform the interior of the DS E-TENSE into an auditorium to satisfy the most demanding listeners. Top-of-the-range speakers utilising highly sophisticated technology are a reflection of the car itself. DS has taken an unprecedented approach in choosing to build partnerships with companies rarely seen on the automotive stage. E-TENSE takes its rightful place among the ranks of high-performance GTs. The lithium-ion batteries are situated under the car’s chassis, which keeps the centre of gravity low and enables even torque distribution between the axles. 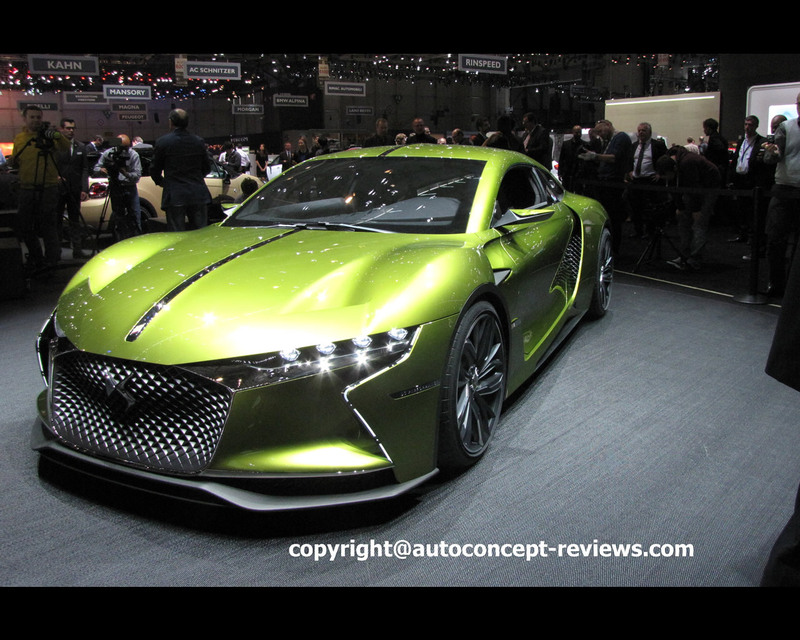 Following close behind the DS 4 Concept, it was the DS E-TENSE’s turn to see certain elements take shape through the use of an innovative and avant-garde design method. Already established in couture and architecture spheres, parametric tools enable surface and volume to be generated in a unique way. 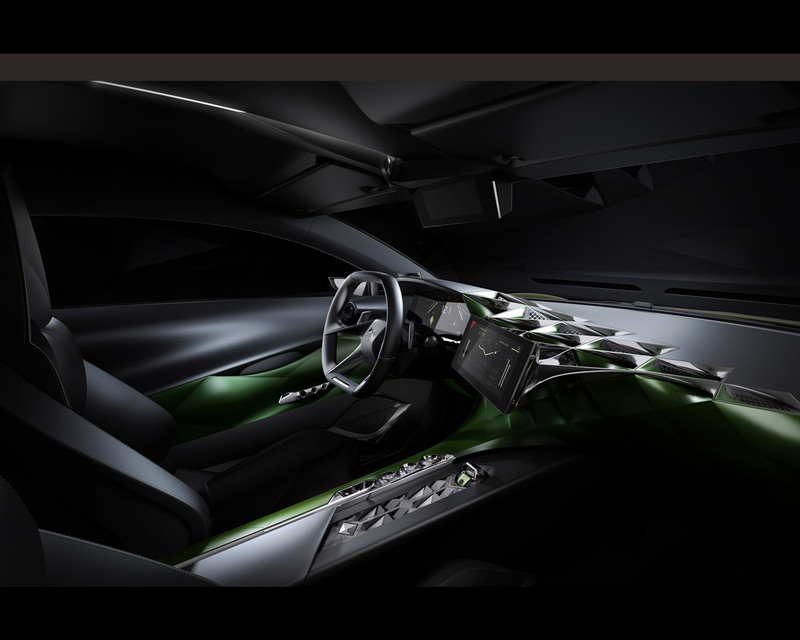 There is no better example of this than the DS E-TENSE’s dashboard, sculpted to futuristic effect. Likewise the radiator grille at the front, also a product of parametric design but here used in conjunction with 3D printing. 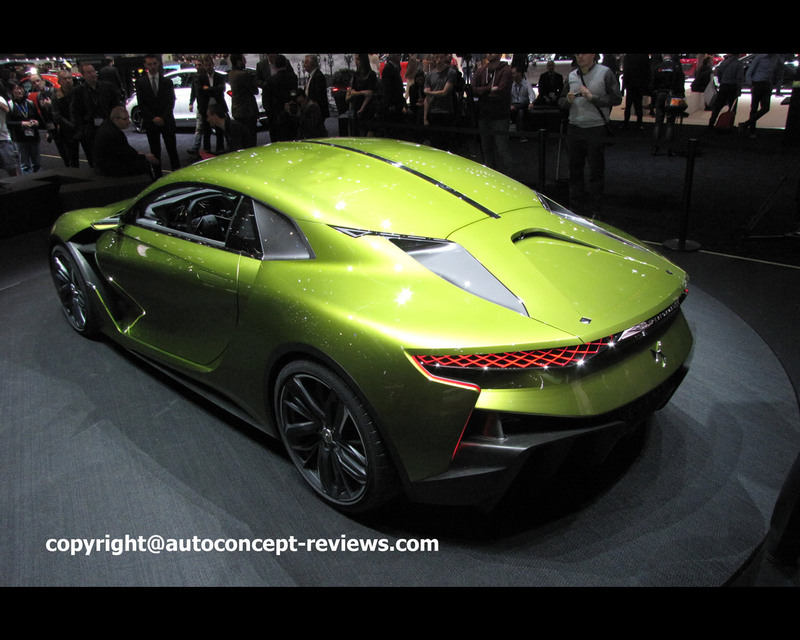 A concept car represents a road map for the future. 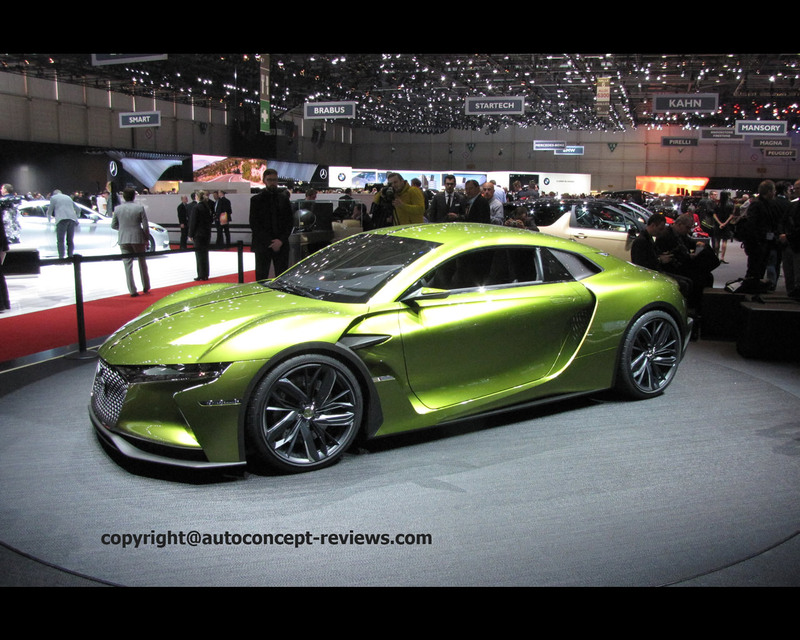 The DS E-TENSE takes DS LED Vision – a hallmark of all current DS vehicles – to the next level, making it active. All the LED modules are worked into the design in a way that a jeweller or watchmaker would practice their craft. They now rotate at 180°. Furthermore there is a welcome mode for the driver, and most importantly new features including a high-way function for motorway driving and a weather function that widens the beam in rain, snow and fog. DS ACTIVE LED VISION pushes back the outer edges of darkness for an ultimately safe drive. The car presents other examples of the latest technology, such as digital rear vision that works with the camera at the back, or the innovative “clean cabin” filtration system that works with the air conditioning to provide active protection for passengers. The system continuously identifies, analyses and filters exterior pollutants in order to purify the air in the cabin. 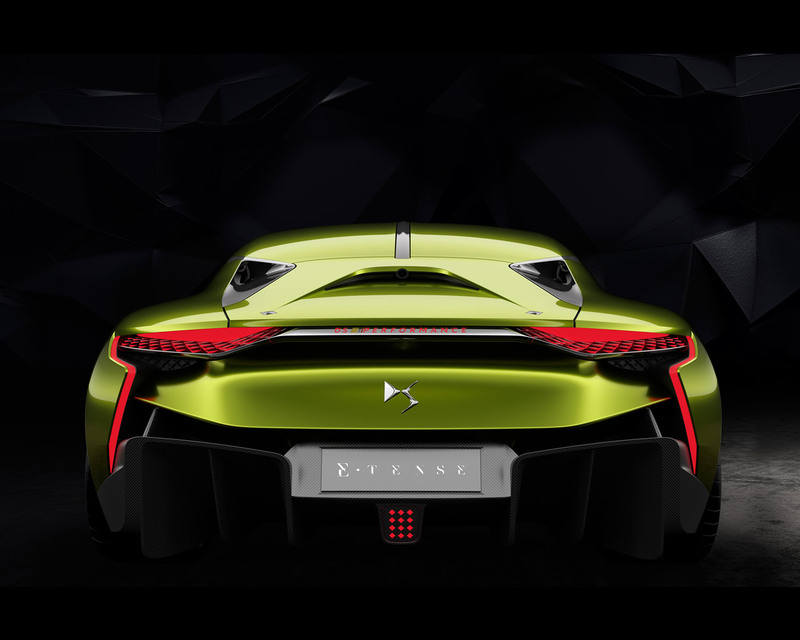 A unique creation, for people who want to give free rein to their passion for cars, without compromising on driveability or performance… this is what DS E-TENSE represents. The two-seater monocoque chassis is manufactured from carbon fibre and equipped with independent superimposed double wishbone suspension. As the batteries are located beneath the floor, the centre of gravity is low, allowing the car to handle with rigour, precision and verve, all in total safety (especially given the even torque distribution between the axles). Meanwhile, the streamlined silhouette, the carbon fibre diffuser and the flat underbody all contribute significantly to its aerodynamic performance. The specially developed Michelin tyres (able to sustain the high torque electric powertrain) are also noteworthy for the safe and comfortable drive they guarantee, even at top speeds. This safety and comfort is facilitated by high-definition digital instrumentation: a 12-inch digital handset is coupled with a 10-inch touchscreen. The ergonomic design of the controls is efficient and intuitive, thanks to an electronic system developed in collaboration with Coyote.